[prMac.com] Coeur d'Alene, Idaho - DEVONtechnologies today releases DEVONthink 2.11.3 for Mac. The popular smart document and information manager receives support for MultiMarkdown 6 and better bookmark handling. 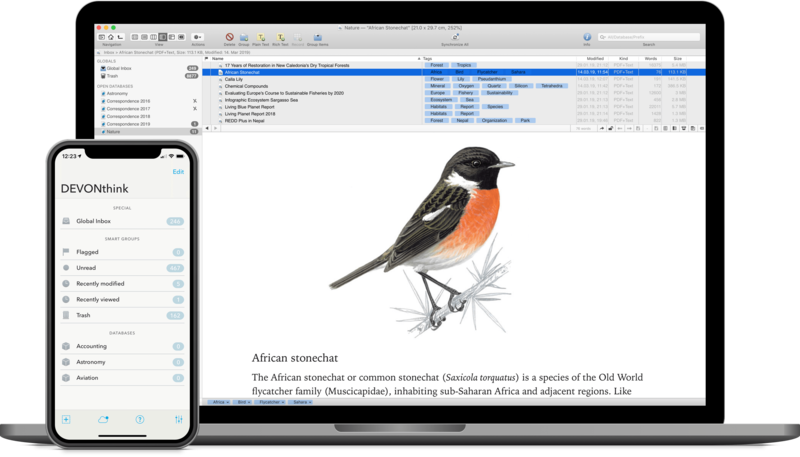 Email import is faster and more compatible to Apple Mail on macOS Mojave, the overall performance has been enhanced, and some bugs have been fixed. The update for all three editions is free and recommended for all users.